Many years ago on a trip to visit Napa Valley, we used that Priceline “Name Your Own Price” feature and ended up in Fairfield, CA. At first I was pissed. It’s almost an hour away from Napa and seemed to be in the middle of nowhere. 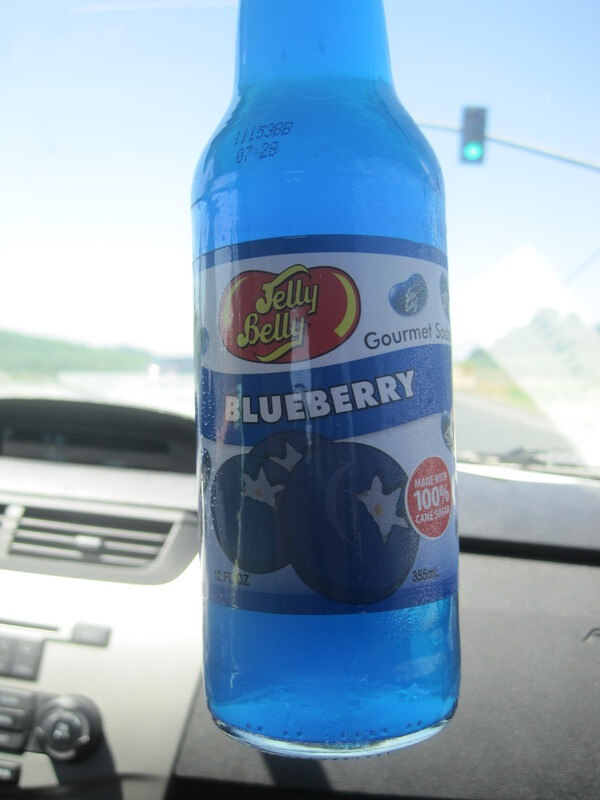 As it turns out, we were actually within a freeway off ramp of one of the most awesome places this side of Hershey, PA – the Jelly Belly Factory. It was pure childhood magic – Willy Wonka come to life, but without the Oompa Loompas. Alas, our daughter was too young to enjoy it at the time. 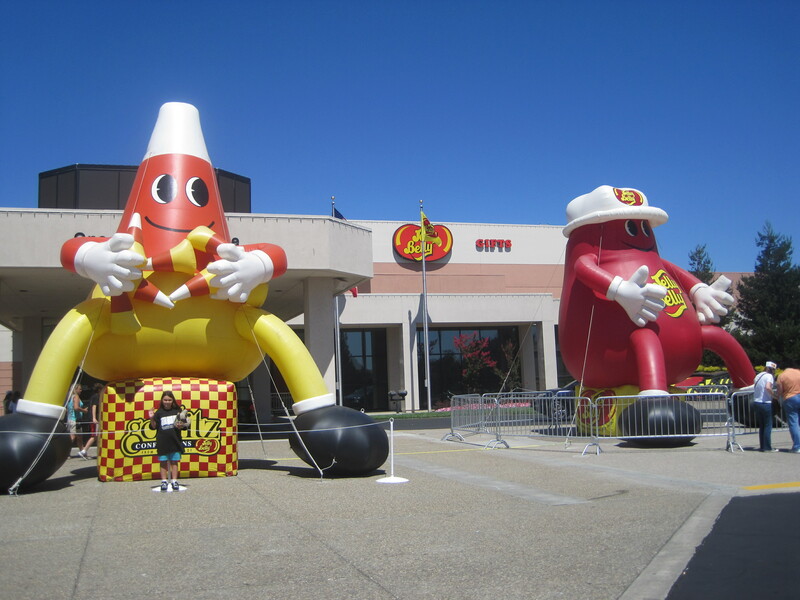 But then, this past weekend, we found ourselves once again in the Bay Area and decided to introduce our now older daughter to this strange little zone of sugar in the middle of wine country. We went back to Sample Bar about a million times. We couldn’t help it. They had these new chocolate covered jelly beans which are now my favorite candy ever, and these horrible jelly beans for faking out your friends that look like some of the more popular flavors of Jelly Belly, such as “buttered popcorn”, but are actually horrible, nasty flavors like “rotten egg”. We kept daring each other to try these monstrosities, which, as horrifying as this sounds, actually do taste like their advertised flavors. We all almost gagged on the rotten egg beans, and then luckily the nice tour guide saved us by handing us our little paper hats that indicated the tour was under way. The tour itself is really neat, even if you aren’t a big fan of shows like “Unwrapped”. You get an interesting behind the scenes look at how the Jelly Beans are made and even get to taste samples of the candy from different stages of the process. If you go during the week, you get to see the candy making in action, but on the weekends they have video monitors set up throughout the tour to show you examples. Plus, the robots that usually move boxes will do little dances to entertain you. 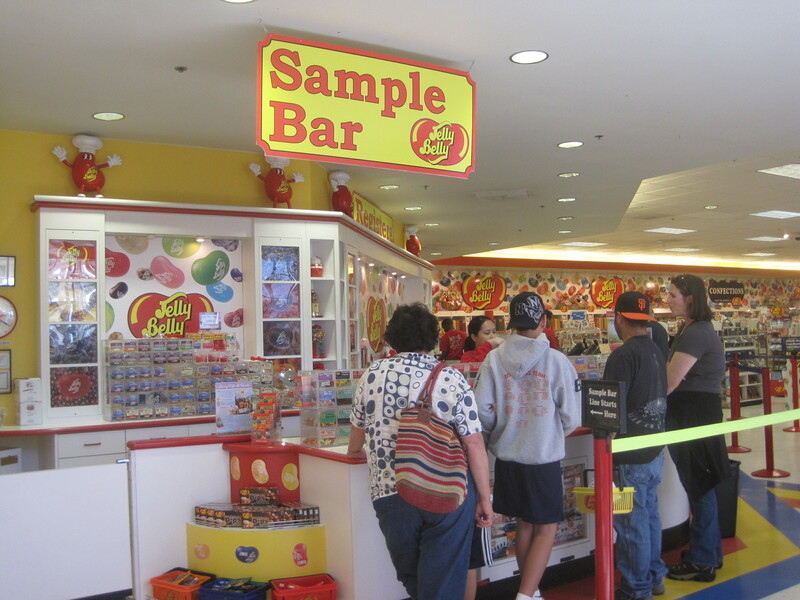 Now, the tour is free, the samples of various jelly beans, candies and fudge are free, and the candy dispensing machines are pretty cheap, but you will likely not escape this wonder without purchasing SOMETHING from the extensive candy shop. If nothing else, the opportunity to buy candies you will likely not see in months or would at least be hard to find (dark chocolate coated Sunkist gummi orange slices anyone?) is hard to pass up. We took advantage of a special wherein we purchased a pound of candy and added on a cute little paint can style candy holder for a dollar. My co-workers were pretty pleased with this addition to my desk when I got back. For the record, this actually tastes like a berry blend. And now that our wallets were a little lighter, our stomachs a little heavier, and our blood sugar levels through the roof – we escaped the candy paradise for the wilds of Sonoma. But that’s another post. Which should be up Thursday.